Did you miss it? We wrapped up another highly eventful and successful Simpleview Summit earlier this month in Scottsdale, Arizona! Our 13th annual users’ conference helped to kick off National Travel and Tourism Week and connect more than 850 travel and tourism professionals from 11 countries to network with each other, Simpleview experts, and leadership from the Arizona Office of Tourism, the U.S. Travel Association, Brand USA, and Destinations International. But just because you couldn’t go, it doesn’t mean you can’t still be in the know. 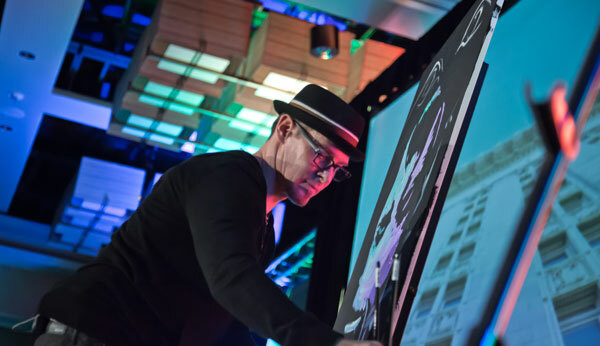 A common theme at this year’s Summit was the future of the marriage of data and creativity, the importance of which was reflected in several of the Summit product and service reveals and updates. These included marketing automation and online, video-led certification; our new print and digital map tool, Map Publisher remastered; and our updated data visualization tool, Destination Dashboards. All use visual, personalized marketing and many are heavily data driven. 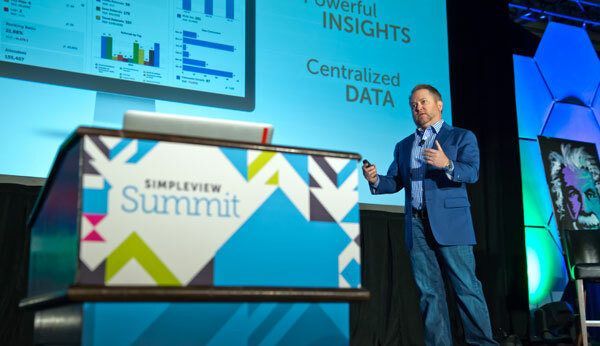 “Two key components of the many sessions and discussions at Summit were visual content marketing and the power of data and analytics in all aspects of the industry,” said Ryan George, Simpleview CEO. Jason Swick, Simpleview’s Vice President of Digital Marketing agreed. He and his team led multiple sessions at Summit discussing the potential impact of an emotional, visual marketing message backed by data science—analyzing the delivery and results and optimizing from there. Hear more from Ryan George and Jason Swick on the 2018 Simpleview Summit on the Layover Live. Our CEO, Ryan George and a team of CRM, CMS, and Digital Marketing experts announced several exciting product and service unveilings and updates. Jason Swick presented a strategic digital marketing framework, encompassing six key creative and analytics-based elements. He spoke about the power of visual storytelling leveraging authentic user-generated content, and the game-changing insights that can come from the right data presented in the right way. This led into the new product and service additions that will continue to help DMOs inspire, engage, and nurture clients through a comprehensive, strategic marketing strategy, while also making day-to-day operations more efficient, for a smoother staff and customer experience. Simpleview Marketing Automation, powered by Act-On is available now, and is designed to make customer outreach more efficient for marketers and sales teams, more relevant to the customer, and more likely to deliver a demonstrable return on investment to DMOs. Integrated with a DMO’s Simpleview CRM, all contact information, histories, and a comprehensive understanding of each lead and contact are in one place for the entire team to reference more efficiently. Emails and social marketing are optimized and personalized based on data analytics. Destination Dashboards, Simpleview’s visual, centralized, data reporting tool for DMOs, will be seeing spring and summer updates. 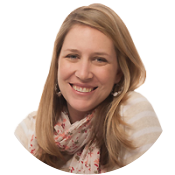 A theme builder option, new mobile features, and Google Sheets/Google Drive integrations will further enhance the automated, calculated insights many DMOs rely on to validate ROI to stakeholders. With Map Publisher remastered, DMOs can create and share their own customized, branded event and destination maps to display on the destination website or print out for meeting planners or members/partners. Map Publisher is easy to use and doesn’t require the Simpleview CRM or CMS. DTN Express is a new CRM extranet integration that will make targeted online advertising through the Destination Travel Network even easier for DMOs and their local business partners. Now DMOs can give their members and partners the option to view and purchase online advertising opportunities from the DMO and DTN through the convenience of the Simpleview CRM Member/Partner Extranet. Perhaps the most discussed product reveal of Summit was the new CRM. The upcoming Simpleview CRM, designed, as always, specifically for DMOs, will be an even more cutting-edge blend of highly efficient data management and practical data distribution. The user interface of this latest CRM iteration will be streamlined, giving DMO teams holistic views of data with all the relevant information in one place. This includes making it responsive, so users can see what they need to when they need to, even on the go. Modern technologies such as in-line editing and robust tracking, increased integration points, more personalized user profiles, and more automation and visual cueing from the system will increase efficiency and ease of use. The system will function more like a personal assistant in addition to a database, proactively helping users accomplish varied tasks rather than requiring users to heavily manage the system and it’s tools. The release is scheduled to take place by spring 2019 … just in time for next year’s Simpleview Summit. 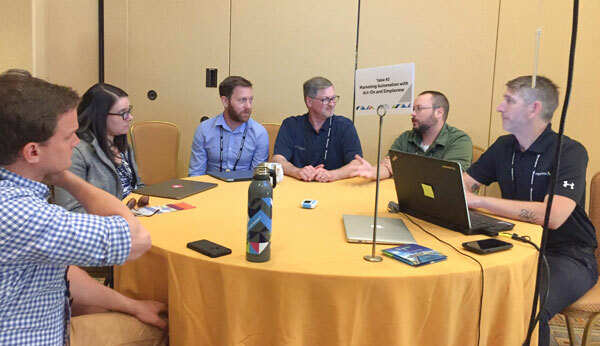 Simpleview Certification was in action at Summit for the first time this year, with DMO professionals studying and taking the certification exams right on-site at the conference. But there’s no need to wait for the next Summit to earn your certification. Simpleview CRM users can build and professionally validate their CRM skills through certification programs available online through the Brainery. The certification program launched online just before Summit, and CRM programs will continue to be offered throughout the year, with Meeting Sales and CMS courses available later in the year. Packed information sharing and educational sessions followed across several days of Summit, with tracks on CRM, CMS, Digital Marketing, Revenue Generation, Experience Design, and VisitApps. Attendees learned “How to Make Website Listings Remarkable within the Simpleview CMS”, “How to Measure Public Relations Impact within the CRM”, “How to Implement Actionable SEO”, “How to Create Meaningful Destination Immersions”, and much more. To learn details and best practices like these on your own time, don’t forget to check out our online articles and webinars in the Knowledge Base. And that, as always, is what Summit was all about this year, too. 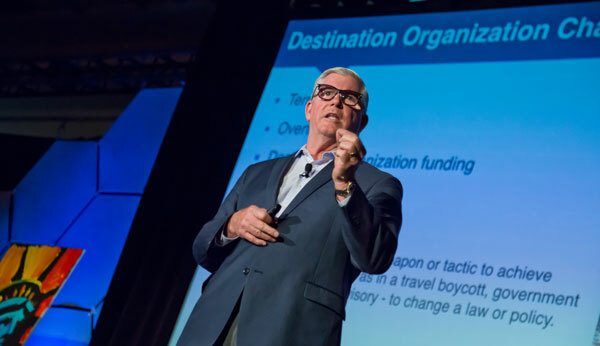 We’re here to help you keep travelers traveling, meeting planners networking, destinations thriving, and communities connecting. We’ve been doing it for 13 Summits and 17 years total—building products and relationships and partnering with industry experts—and as you can see here, there’s only more to come.